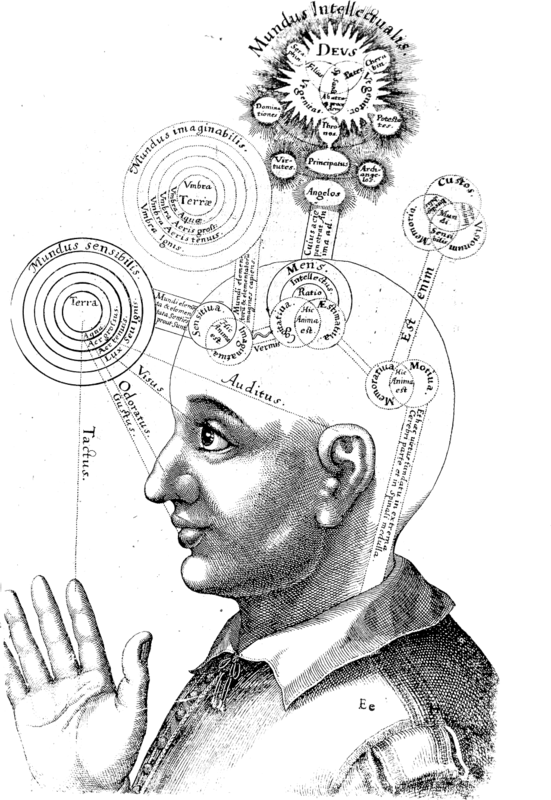 Robert Fludd (1574-1637) Utriusque cosmi maioris scilicet et minoris metaphisica. Oppenhemii 1619. Right, left, right, left, right, left and so on … nothing else happens, so this movie is called The Almost-Dead March. It might seem a little boring, but as we add more detail, it provides a basic narrative structure for describing more complicated happenings in space and time. Next step: from sensations to particles.